We were lucky enough to grow peas in our garden this summer. We ate plenty but harvested way more than we could eat so I decided to dehydrate a lot. 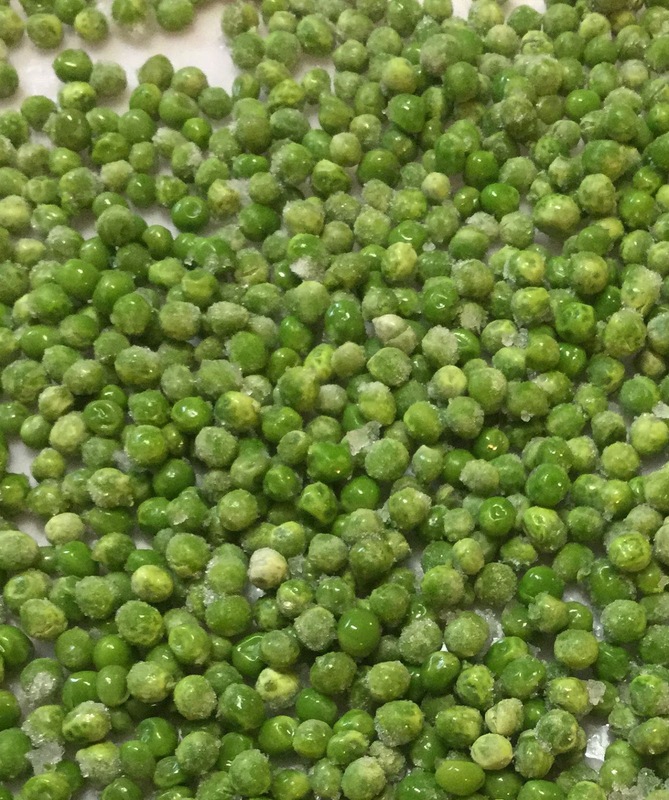 By dehydrating our harvest of peas, we can enjoy them all year long. Peas are a great source of Vitamin A, Vitamin C, and Niacin. Peas are also a great source of fiber and they help to lower your cholesterol. They have beneficial effects on your digestive system, heart and if you are diabetic, on your blood sugar levels (because of the soluble fiber). They also provide slow-burning energy!!! 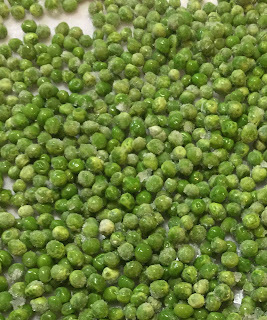 To dehydrate: shell the fresh peas and rinse them well. Arrange them on your dehydrator and dehydrate them at 135 degrees for about 6 hours. 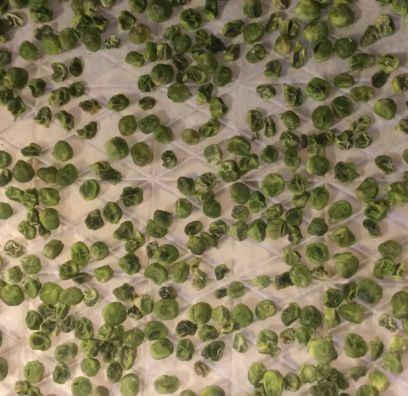 (If you are using frozen peas, just pour them on the trays and begin.) When completely dehydrated they will be brittle and wrinkly. To rehydrate: Soak them in really hot water for about 30-45 minutes or if you prefer, you can cold soak them overnight. The peas can then be added to soups, salads, stews or casseroles. 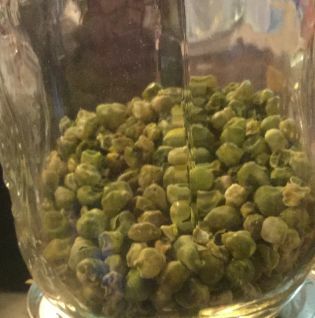 If you will be cooking a soup or whatever for a long while (over 30 minutes) you can add the dehydrated peas directly instead of soaking them. I store them in a mason jar sealed good. Once the jar is full, I add an oxygen absorber and store in my pantry. They can last for years this way! I use dehydrated peas in my Chicken and Rice Soup-Mix-in-a-Jar, Tuna Noodle Casserole, Tater Tot Casserole, and in Chicken Fried Rice!